This dish can be served as an appetizer or main course. It reminds me of the tortellini salad served at my wedding reception. Try serving it for Easter or a summer picnic. 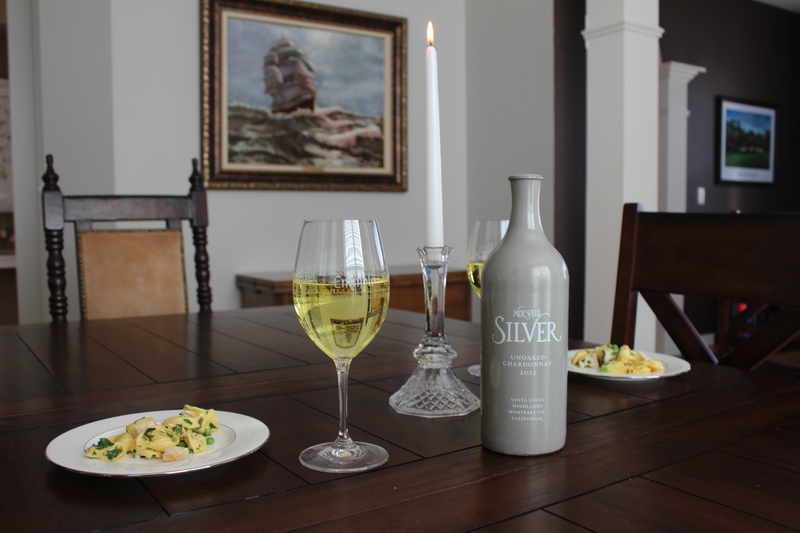 It pairs remarkably well with a unoaked Chardonnay or a crisp Chablis. 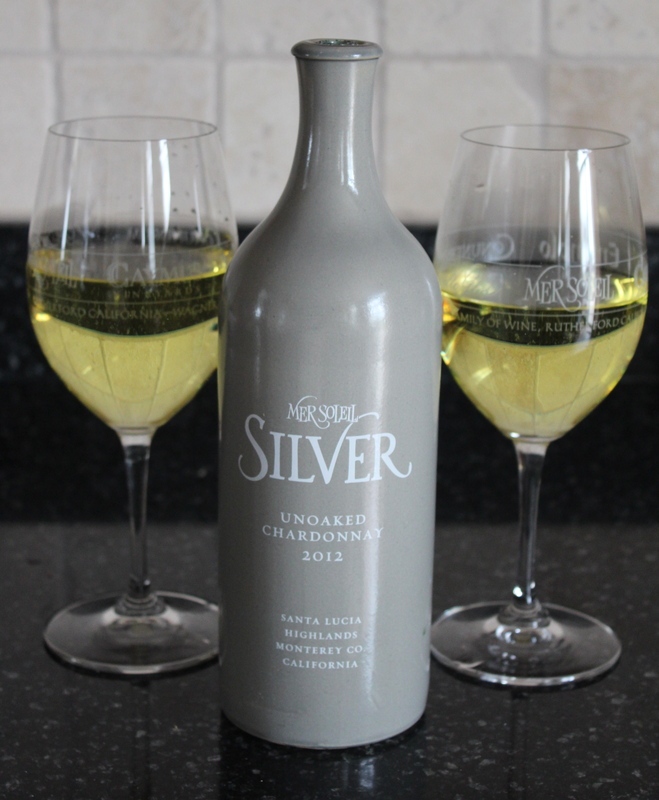 My husband and I discovered this unoaked Mer Soleil Silver Chardonnay from the same family that produces Caymus Cabernet. The bottle is pretty cool too. It’s made of ceramic. Process olive oil, cheese, garlic, lemon juice and Worcestershire in a blender until smooth. 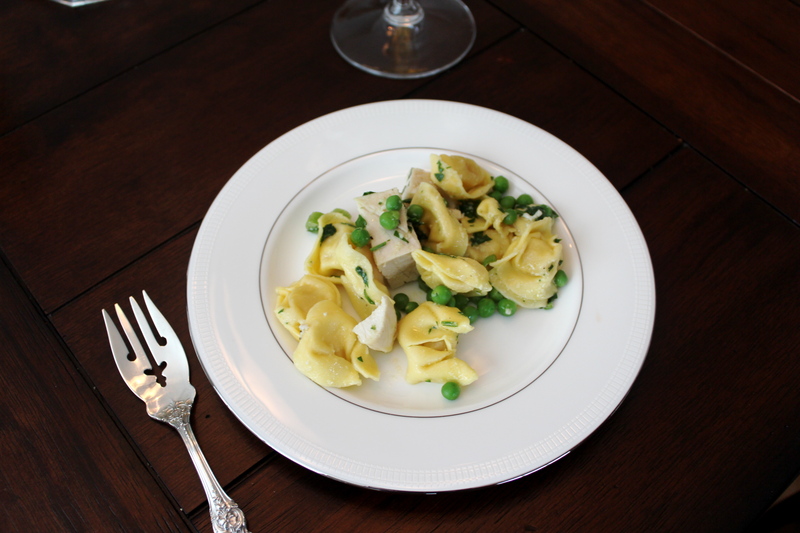 Toss olive oil mixture with tortellini, chicken, parsley, green onions and peas. Add salt and pepper to taste.